Who Would've Guessed We'd Ever See A Stylish Phone Charger? With more smartphones being sold than ever before, it's not surprising to see plenty of innovative chargers being designed for the battery-guzzlers. 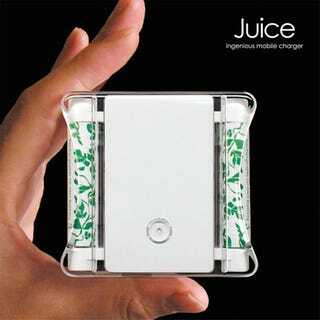 This "Juice" model not only charges phones, but AA and AAA batteries too.